Blossom presents Fun with Maths Program for Children studying from LKG to Grade VIII on 26-Aug-18 from 6pm onwards. Lets have some fun!! 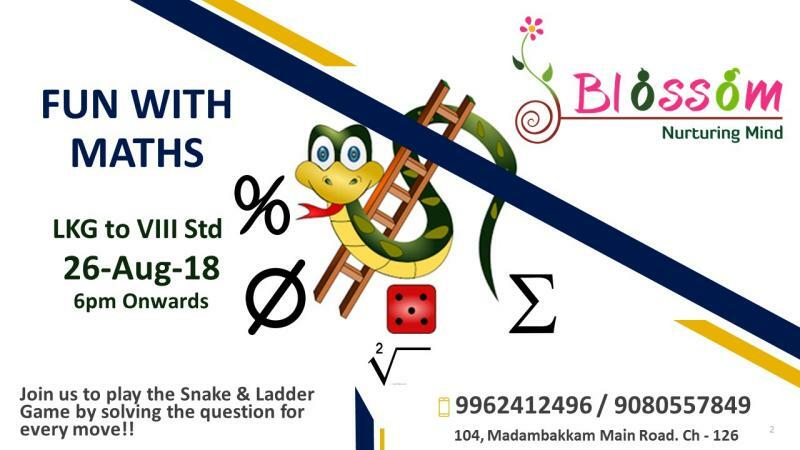 Join us to play the Snake and Ladder Game by solving the Maths Question for every move. Participants will receive a Certificate and Winners will be recognized. Registration Fee: Rs.100/- per entry. *LIMITED Seats!! * Last Date to Register – 24-Aug-18.